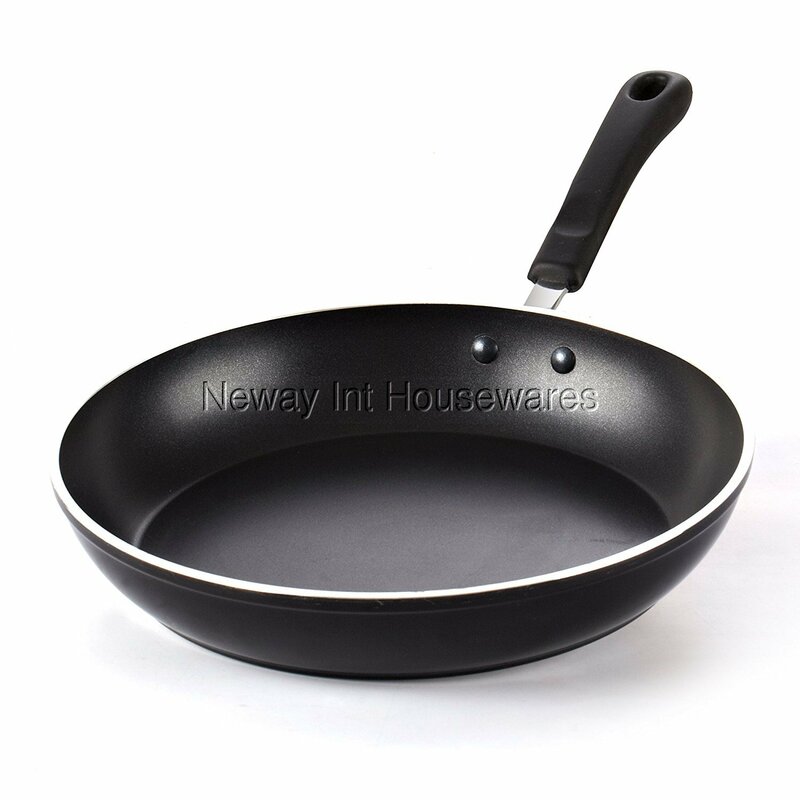 ​The Cook N Home 12" fry/saute pan with non-stick coating, Black has a durable double coating system that is cadmium and lead free. The cookware is made of thick gauge aluminum that provides even heat conduction without any hot spots. The bottom is specially designed for induction stove tops. The handle stays cool while cooking and is attached to the pan with 2 rivets. Please do not use with metal utensils as it may scratch the non-stick coating. Over-heating may damage the non-stick coating. Putting the hot pan in cold water may reduce the non-stick coating's life span. See further details in use and care manual.